Once downloaded, open the file to edit in your chosen editor (notepad will do if you have nothing else, I use Visual Studio Code or Notepad++). To get the solution starter code to work, you will need to update the custom field internal name for your target project level custom field, the code sample also assumes this target custom field is a text field. If the target field is a different type you will need to update the value type as mentioned in the first post. 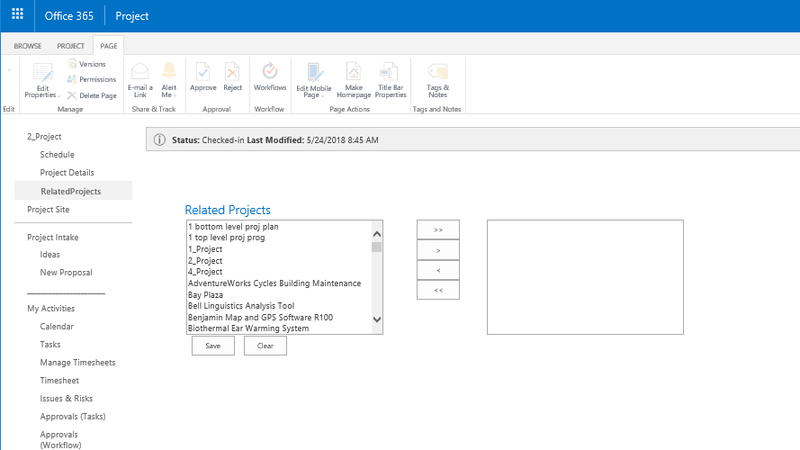 This is just a simple example to demonstrate updating project level custom fields using the REST API from a Project Detail Page. Update the solution starter to ensure the code is production ready and fully test on a DEV / TEST PWA instance first before using in Production. The script is provided "As is" with no warranties etc. As mentioned earlier on in the post, there will be a full working example / solution started published later this week. 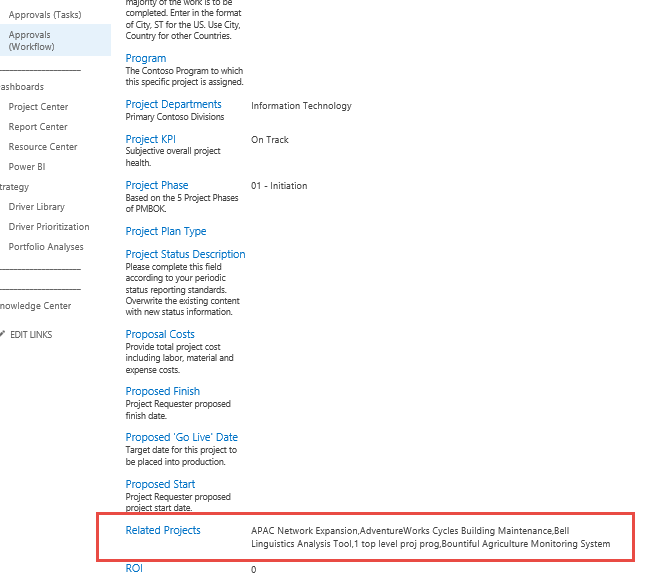 You will also find that the ResourceDemandTimephasedDataSet endpoint is also impacted by this reporting setting if your projects are set to calculate the resource utilisation from the Project Plan / Project Plan Until. 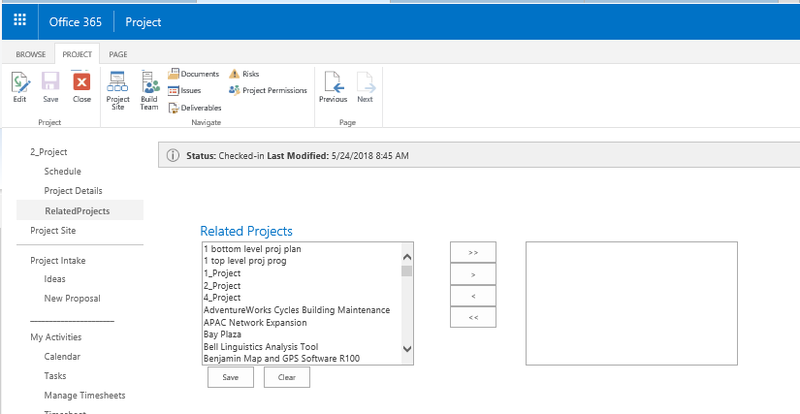 For example, if you have the timephased data setting set to Never as seen below and your projects resource utilisation is set to the Project Plan, the resource demand for those projects will not appear in the ResourceDemandTimephasedDataSet endpoint. $url = $PWAInstanceURL + "/_api/ProjectData/Projects()?`$Filter=ProjectType ne 7&`$Select=ProjectId,ProjectName,ProjectPercentCompleted,ProjectOwnerName"